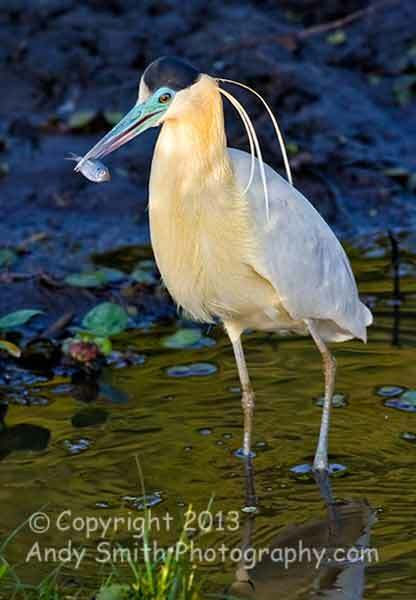 The Capped Heron, Pilherodius pileatus,is found across much of Northern and Central South America. Its distinctive black cap with blue bill and face differentiate it from other white herons. It feeds on fish, but also aquatic insects, tadpoles, and frogs along the edges of small marshy pools and slow moving wooded streams.